It’s amazing how quickly the world of medicine advances, including the field of radiology and its associated medical imaging equipment. Upgrading your facility’s X-ray equipment requires a sizeable investment. How do you know if it’s the right time to upgrade? Before tackling that important question head on, there are 3 simple questions that could help you break the problem down and reach the best solution for your practice or facility. Is Your Current Equipment Functioning Reliably? As time goes by and your x-ray equipment ages, parts wear out and need to be repaired. It’s the same with almost any mechanical device, like your car, your water heater, or your home air conditioning system. But when your X-ray machine malfunctions, that translates directly into downtime. Patients aren’t being examined or diagnosed, treatments are delayed, and income is lost. If this is becoming a frequent occurrence, your equipment is probably failing to meet patients’ needs and failing to make money for your practice. When you add in the cost of repeated repairs, your current (and probably outdated) equipment could be creating a substantial financial drain. If your current X-ray equipment no longer keeps up with demands due to poor mechanical reliability, it’s probably time you consider investing in newer equipment. Is Your X-ray Machine Meeting Demand? In other words, can your current X-ray machine produce the highest quality scans to best treat your patients, and is it able to do so quickly enough to care for all your patients, and in a manner that is both timely and efficient enough to turn a profit? Digital radiography (DR) has made incredible strides that have optimized workflows and increased the level of treatment offered at many facilities in a wide variety of modalities. If you’re recognizing any of these shortcomings at your facility, your X-ray equipment has clearly fallen behind the times. It’s probably time to look into upgrading. Is Your Radiology Equipment Outdated? The word “outdated” could include the 2 points we’ve already mentioned, but there are even more drawbacks to consider when thinking about whether to buy new X-ray equipment. The newest DR equipment allows for the efficient use of PACS, which eliminates the need for space designated to store physical copies of film scans. Digital storage also makes scans available on demand anywhere, at any time, for anyone accessing your computer system. In addition to malfunctions interrupting business operations and patient care, reliance on older equipment runs the risk of necessary parts becoming unavailable. Older machines rely on outdated components that may be discontinued, and valuable time and income can be lost searching for someone stocking the needed parts. As new developments in technology are made, both in software and hardware, compatibility becomes an issue. The latest features you’d like to take advantage of may not be configured to fit older machines. Once again, that means limits on the patient care your facility can offer. 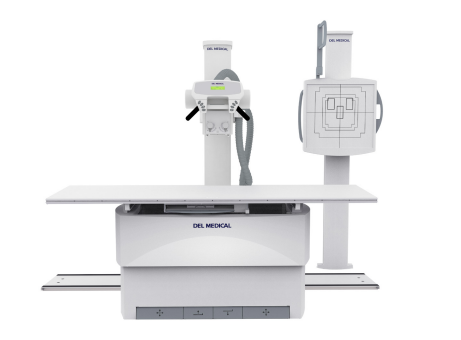 Buying New X-Ray Equipment: Is This the Right Time? In attempting to answer the bigger question of whether it’s time to invest in new equipment, it really comes down the simple matter of whether your current setup is functioning reliably and allowing you to provide the patient care your facility can be proud of. If not, your practice is likely falling short of your practical and financial goals. If that’s the case, the time to buy new X-ray equipment is, most certainly, now. Upgrading to new digital X-ray equipment is a costly investment and should be given serious thought before a decision is reached. However, considering the significant advantages in patient care and workflow that new DR technology provides, we encourage you to consider making the upgrade. Southwest X-ray has the individual solution for you — click to find out how we can help.